While they are my favourite band of all time, I have to confess that I have no idea when I heard my first Beatles song. I may well have been in the crib when it occurred. Then again, it could well have been on The Beatles cartoon which originally aired from September 25, 1965 to September 7, 1969 on the American Broadcasting Company (ABC). Today The Beatles show is largely forgotten except for those younger Baby Boomers and older Gen Xers who were growing up when it aired (not to mention die-hard Beatles fans) but for a while it was among the highest rated Saturday morning cartoons. The origins of The Beatles cartoon can be traced back to King Features Syndicate and its head of motion picture and television development at the time, Al Brodax. Among Brodax’s first accomplishments at King Features Syndicate was the production of 220 new animated shorts for television featuring Popeye. Mr. Brodax managed to produce these shorts inexpensively and in a short period of time simply by giving much of the work to animation studios overseas. Al Broadax would also be responsible for the Beetle Bailey, Krazy Kat, and Snuffy Smith cartoons that King Features Syndicate produced in the early 1960s. It was in February 1964, not long after The Beatles’ first appearance on The Ed Sullivan Show, that it occurred to King Features Syndicate’s film and television development department that a Saturday morning cartoon based around The Beatles would be a sure-fire hit. Al Brodax got in touch with Brian Epstein and managed to secure the rights for the prospective Beatles cartoon. He then set about getting financing from toy giant A. C. Gilbert Company with little more than a rough outline of the show and some preliminary artwork. It was A. C. Gilbert Company that sold ABC on the idea of a Beatles animated series. With the series sold to ABC, Brodax had only six months to actually produce the show. Fortunately, having produced 220 Popeye cartoons in only a brief amount of time, Brodax already had the experience necessary to get the cartoon out on time. He hired Englishman Peter Sander to design The Beatles characters. Like the Popeye cartoons before them, the animation for The Beatles would be handled overseas. TVC London (who later co-produced the classic animated film Yellow Submarine) and Astransa Park of Australia were largely responsible for much of the work, although animation for the series was also done in Canada and Holland. The format of The Beatles was rather simple. Each show would feature two episodes of anywhere from four to six minutes in length, each one based on a Beatles song (which would be featured in the climax of the episode), and in between the two episodes of each show were sing-alongs and comic vignettes. The episodes generally featured The Beatles in unusual situations involving everything from gangsters to spies to monsters, and many were set in such exotic locations such as Transylvania, Polynesia, and Egypt. For the voices of The Beatles, Al Brodax hired only two men. American voice artist Paul Frees would the voices of John and George. Now best known as the voice of Boris Badenov on Rocky and His Friends and The Bullwinkle Show, he had provided the voice of many animated characters over the years, as well as the voice of the unseen benefactor John Beresford Tipton, Jr. on the TV show The Millionaire. He had also served as the narrator on such films as John Frankenheimer’s The Manchurian Candidate (1962) and Edward Dmytryk’s The Carpetbaggers (1964). Englishman Lance Percival would provide the voices of Paul and Ringo. Lance Percival had been a cast member of the original British version of the TV show That Was the Week That Was and even had his own comedy series (Lance at Large) that had aired on the BBC in 1964. He would later provide the voice of Old Fred in Yellow Submarine. In addition to hiring only two actors to provide the voices of all four Beatles, Al Brodax also made the controversial decision of not letting the actors mimic the Beatles’ actual voices. Brodax thought that American children would not understand anything approaching The Beatles’ native Liverpudlian accents and thus Frees and Percival gave The Beatles of the animated series accents that Americans think of as stereotypically English. Of the characters, only Ringo sounded even faintly Liverpudlian (and even his voice on the cartoon was far from that of the typical Scouse). The worst was perhaps the voice given John Lennon, who sounded more like Inspector Fenwick from Dudley Do-Right (no coincidence, as Frees had also voiced that character) than anyone else. It would be Brodax’s unfortunate choice regarding the voices of The Beatles that would keep the cartoon off the airwaves in the United Kingdom for many, many years. According to John Coates, the head of TVC London and later production manager on Yellow Submarine, after hearing the voices on The Beatles no less than Brian Epstein himself forbade the cartons from being shown on British television. 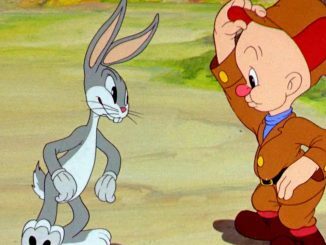 The cartoon would not air in the United Kingdom until years and years after it was first broadcast in the United States. Regardless, The Beatles was a runaway hit when it debuted Saturday morning, September 25, 1965 on ABC. It received among the highest ratings of any Saturday morning cartoon up to that time, a phenomenal 52 percent of viewers. As might be expected given its success, The Beatles generated a good deal of merchandising. There were Colorform kits, Soaky bubble bath containers, figurines, and much more. As might be expected, many of the toys inspired by The Beatles cartoon were manufactured by A. C. Gilbert Company, who along with Quaker Oats and candy manufacturer Mars Inc. sponsored the show. Given the show’s runaway success, The Beatles was renewed for a second season, with six brand new episodes featuring such songs as “Nowhere Man” and “Paperback Writer.” Unfortunately the series would not repeat the extraordinary ratings of its first season. Inspired by the phenomenal success of Batman on ABC’s primetime schedule, CBS’ head of Daytime Programming Fred Silverman filled that network’s Saturday morning schedule with superhero cartoons. The Beatles found itself opposite Space Ghost and Dino Boy on CBS. While The Beatles still did well in the ratings, it was soundly beaten in the ratings by its competition on CBS. Despite having been beaten in the ratings by Space Ghost and Dino Boy, The Beatles was renewed for a third season. 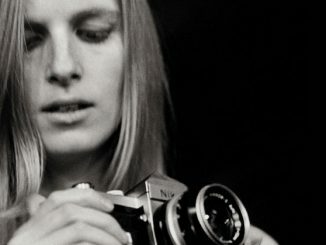 The third season would see five new episodes featuring such songs as “Strawberry Fields Forever” and “Tomorrow Never Knows.” It would also see the series take a turn towards psychedelia and even outright surrealism. In fact, a few of the episodes actually foreshadow the work that would be done on Yellow Submarine, albeit on a smaller and cheaper scale. Indeed, George’s line in Yellow Submarine, “It’s all in the mind” is actually quoted first by John in the episode “Strawberry Fields”. Unfortunately The Beatles once more found itself opposite superheroes on CBS, in this case the second half of The Superman/Aquaman Hour of Adventure. As a result its ratings declined. This would not be the final season of The Beatles, even though no new episodes were made. ABC moved The Beatles to 9:30 AM Eastern on Sunday mornings. There reruns of the show ran until 9 September 1969 when it ended its network run. 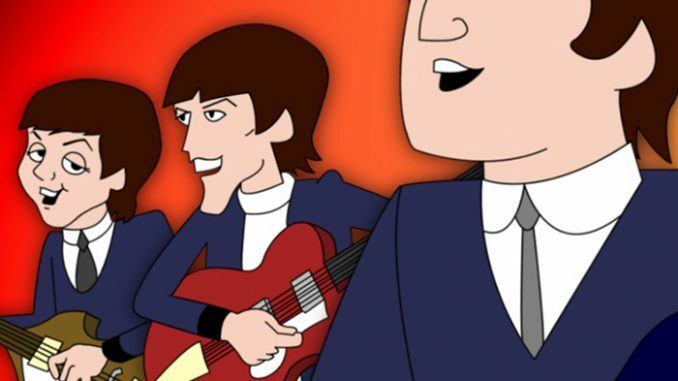 With new episodes of The Beatles being made for three seasons, the cartoon saw the band’s music evolve over time. The show’s very first episode was “A Hard Day’s Night” the third season’s first episode was “Strawberry Fields Forever”. While the show reflected The Beatles’ changing music styles, however, the cartoon Beatles remained stuck in the mop-tops and suits of their early days as recording artists. Similarly, their personalities were largely drawn from the films A Hard Day’s Night and Help. John was the leader of the group, brash and possessed of a dry wit. Paul was the showman of the group and easily the most polished. George tended to be quieter than the others, but also possessed a somewhat wry sense of humour. Ringo was somewhat naive, a bit dim-witted, and the gentlest of the group. While the cartoon portrayal of The Beatles progressed little beyond their early image as four mop-topped youngsters, the show’s opening credits would change for each of its first three seasons. The first season’s opening sequence featured the song “Can’t Buy Me Love” and was obviously inspired by A Hard Day’s Night. It featured the animated Fab Four running from their fans. For the second season the show’s theme was changed to “Help!” and appears to have been inspired by the film of the same name. It starts out with The Beatles in disguises with long moustaches, only to be discovered by four women in trench coats (either fans in disguise or female spies), who then pursue them. The third season would see a complete change to the show’s opening. For the third season the theme would become “And Your Bird Can Sing”. Unlike the first two season opening, the third season opening involved no chase scenarios. Instead it incorporated photographs of The Beatles circa 1967 alongside their animated counterparts. What can only be described as psychedelic imagery was also incorporated in the opening. Indeed, the third season opening was much more sophisticated than the episodes themselves. Regardless of The Beatles’ initial feelings about the cartoon themselves, the show would have a lasting impact. Indeed, it was the first television cartoon to have been based on real people (beating the debut of the syndicated The New Three Stooges by several weeks). It was also the first animated series to be based on a rock group. Its influence on Saturday morning cartoons would be seen well into the Seventies. Such cartoons as The Archie Show, Josie and The Pussycats, The Brady Kids, and even Scooby-Doo, Where Are You! would incorporate popular music years after The Beatles left the air. In the 1970s, even pop groups such as The Jackson Five and The Osmonds would have their own short lived, animated cartoons. In some respects The Beatles could also be considered one of the earliest examples of rock video (albeit in animated form), pre-dating even the TV show The Monkees. A more important legacy of The Beatles cartoon may be the classic movie Yellow Submarine. Al Brodax, who produced The Beatles animated series, initially came up with the idea of producing an animated feature based on The Beatles’ songs, suggesting to Brian Epstein that this could satisfy The Beatles’ agreement with United Artists to do a third film (after A Hard Day’s Night and Help!). With the rights to do the film secured, Brodax then hired TVC London to produce the feature itself. Indeed, the film was directed by the late, great George Dunning of TVC London and Jack Stokes of TVC London served as its animation director. While Yellow Submarine would ultimately look very different from the Saturday morning cartoon, it was in many respects an outgrowth of that cartoon produced by many of the same people and two of the same companies (King Features Syndicate and TVC London). Of course, the most lasting impact that The Beatles would have would be the creation of new Beatles fans. There can be little doubt that for many this TV series was their first introduction to the band. Indeed, I rather suspect that my first real exposure to the music of The Beatles may have been through this cartoon. At any rate, I have fond memories of watching it in reruns on St. Louis station KPLR. While there can be no doubt that The Beatles cartoon had a lasting impact, the question of whether it was actually good or not is a different matter. For many years this would be a difficult question for Beatles and animation fans to answer, as there would be little opportunity to see The Beatles for many years. While a smattering of television stations in the United States reran the show in the 1970s and 80s, it largely disappeared afterwards. Fortunately, with the advent of the Internet and streaming video, The Beatles has resurfaced on such video sharing sites as YouTube. This has made it much easier for Beatles and animation fans to ascertain the quality of the show. The animated Beatles had adventures ranging from those reminiscent of Bob Hope and Bing Crosby’s “Road to…” movies to parodies of the then current James Bond films to take offs on old horror films. In the third season (the last to feature original episodes) episodes such as “Strawberry Fields Forever” even ventured into psychedelia, foreshadowing the feature film Yellow Submarine. The Beatles was certainly a far cry from the funny animal cartoons that had dominated Saturday morning before it. Even given the usually crude animation and occasional political incorrectness, at times The Beatles can still feel fresh and innovative nearly 50 years after its debut. And when it doesn’t, it can be enjoyed as a prime example of Sixties camp. While I have to say I enjoyed the episodes of The Beatles I have seen for the most part, I do have to say I have a real problem with the voices of The Beatles on the series. As a Beatles fan I have heard The Beatles’ speaking voices many times over the years and the voices of the cartoon characters sound nothing like them. In fact, I find the “Inspector Fenwick” voice foisted on Lennon particularly annoying. In my humble opinion I think Brodax made a big mistake in insisting that the characters of The Beatles did not mimic the real life voices of the band. Beyond the fact that even at that time any Beatles fan would realise the cartoon characters sounded nothing like the originals, there is the simple fact that I think even in 1965 the average American had no problem understanding the way The Beatles spoke. Both A Hard Day’s Night and Help! featured The Beatles with their accents intact and both were hugely successful. On Yellow Submarine (apparently against Brodax’s wishes in the beginning) the decision was made that the actors would mimic The Beatles’ voices–they were so successful that to this day many do not realise that The Beatles did not provide their own voices in the film. I then think that the characters of The Beatles on the cartoon could have easily spoken with Liverpudlian accents without affecting American children’s understanding of what they were saying or the cartoon’s success. In fact, I think Brodax’s decision may have impeded the cartoon’s success over all. Let’s face it, would Brian Epstein have banned the cartoon in the United Kingdom if the characters had sounded more like the actual Beatles? Since it left ABC in 1969 very little has been seen of The Beatles in the United States. Only a few TV stations in America would rerun the cartoon, among them KPLR in ST. Louis and WSNS in Chicago. 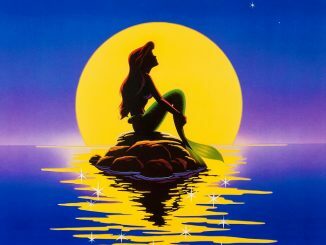 In 1986 and 1987 MTV reran the series, and reportedly The Disney Channel reran it a little bit later. In 1980 episodes of The Beatles was broadcast in the United Kingdom when Granada aired episodes of the show in the early morning. In 1988 the series was finally aired in its entirely by ITV as part of their Night Network schedule. In the 1990s, Apple Corps Ltd. bought the rights to The Beatles and little would be seen of the cartoons for a time. Since then several episodes have surfaced on YouTube and other video sharing sites, as well as on a few bootleg DVDs. Strangely enough, while The Beatles cartoon largely disappeared from view in the ’90s, a good deal of merchandise related to the cartoon has been produced in the past several years. In 2004, McFarlane Toys issued figures based on the characters of The Beatles from the cartoon. Several other sorts of merchandise featuring the cartoon Beatles have since been produced by various companies, including socks, T-shirts, pin-back buttons, lampshades, and even a Zippo lighter. Of course, despite the large amount of merchandise based on the cartoon in the past many years, The Beatles has yet to see an official DVD release from Apple. There certainly appears to be a demand for it, as demonstrated by the large number of episodes available on YouTube and other video sharing sites, not to mention various bootleg DVD collections. There can also be no doubt of its significance in the history of American television animation and the history of The Beatles (at least here in America). I certainly hope that one day Apple Corps Ltd. does release The Beatles on DVD and Blu-Ray. Of course, if they do, I also hope they re-dub the voices with something more appropriately Liverpudlian (they can always include the original voices on a different audio track for the cartoon purists out there).